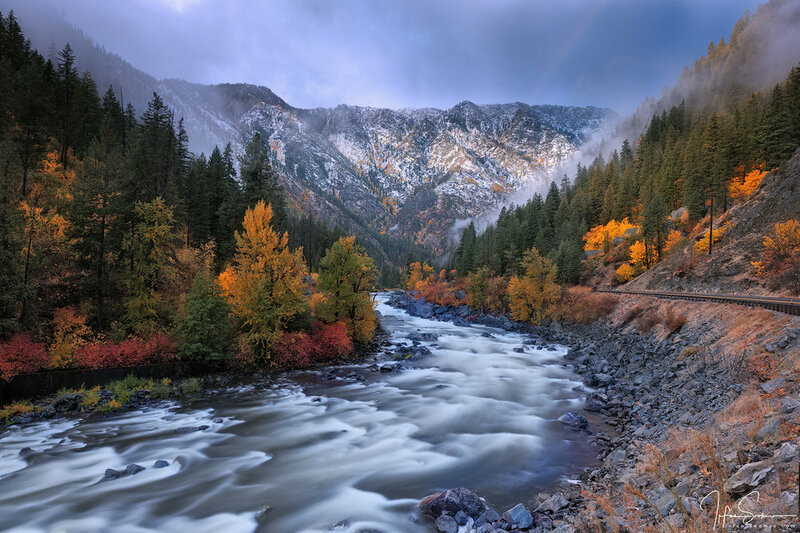 Leavenworth, the surrounding Wenatchee forest and its namesake meandering river are the fall season paradise for photographers and non-photographers alike. This beautiful city was founded in 1854 and is modeled on a Bavarian village. Leavenworth is located in Chelan County, Washington, United States and is part of the Wenatchee−East Wenatchee Metropolitan Statistical Area. The town center sits at about 1,170 feet elevation. Leavenworth is very popular photography workshop location. 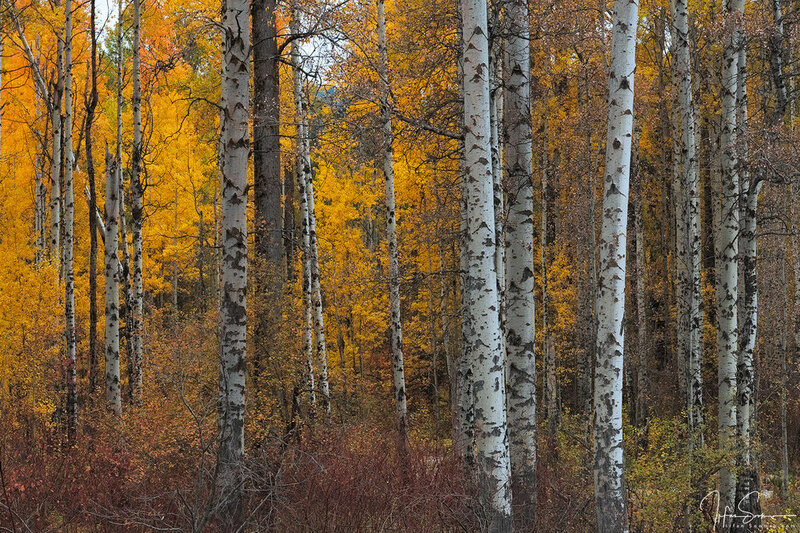 I have been photographing and instructing in Leavenworth area since last few years and the fall colors never disappoint. Each year gives keeper images. For this reason, the seats for Leavenworth fill up fast so if you are considering investing in your photography in 2018 don’t hesitate to sign up soon for guaranteed participation. I keep the workshop group small, 8 maximum, which enables me to interact 1:1 with each participant. All photographic skill levels can join and will benefit. 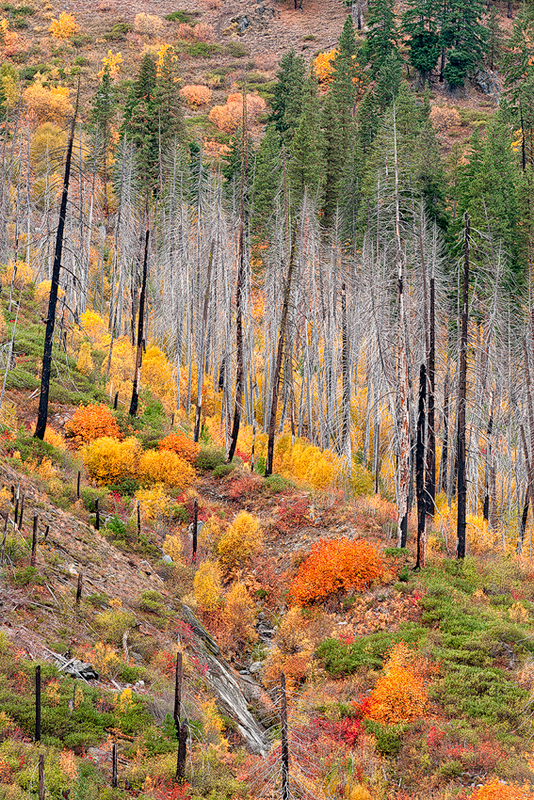 We may do light to moderate hiking depending on where the peak colors are. Irrespective, most of location have easy access and plenty of working room for all. There are no specific fitness requirements other than being able to be out and about on for 8 - 10 hours each day. This 3 Day instructional workshop is offered @ US $995. Workshop will commence on Friday Oct 19th prior to sunrise shoot and culminate on Sunday about dusk. More detailed information will be emailed to each registered participant. During the workshop we would follow a loosely defined schedule giving us flexibility to take advantage of the best of colors nature has to offer according to weather and light for the given day and the hour. We will spend most daylight hours shooting in the field with “Post Processing and Image Critique” sessions during midday hours. Throughout the workshop we will discuss artistic and technical aspects of photography. Topics like camera settings, right tools for a given scene, field techniques and tips, composition and other questions you might have. I am open to discussing additional topics throughout the workshop like Developing Personal Style and Vision, Self-printing, Soft Proofing for commercial lab printing, marketing and selling fine art. This 3 Day workshop is priced at US $995 with 50% payment due at registration to secure your seat. and balance 50% due by July 15th, 2018. Logistics: Flying In: SeaTac International – about 2.5 to 3.0 hour drive.